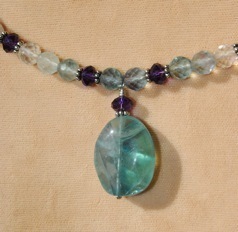 Rainbow Moonstone is a milky white stone with flashes of bluish labradoressence. 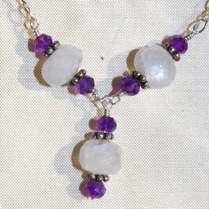 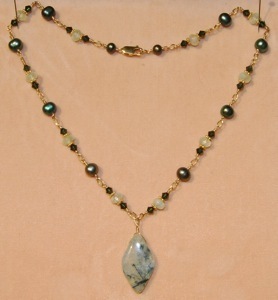 Both the moonstone and amethyst accent beads are faceted for extra dazzle. 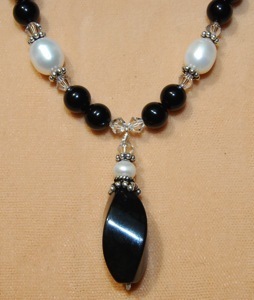 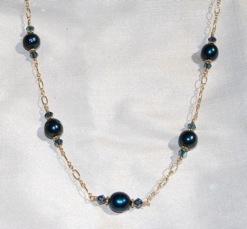 The chain, accent beads and findings are all sterling silver.